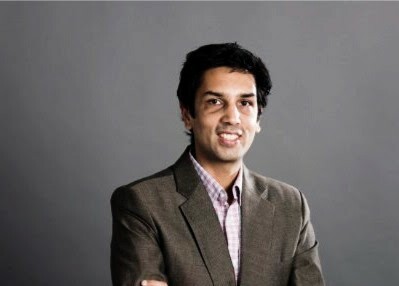 Mr Gaurav Mehta is the Chief Marketing Officer at GirnarSoft, the parent company of popular portal CarDekho. He shared insights into his journey into the world of Marketing, Sales and Branding with IIM Shillong’s Marketing Club Markathon. You graduated in 2002 from MICA and we are currently in 2018, what do you think are the new opportunities for us in the field of marketing which were not there when you graduated. Three electives that we had when we were graduating were brand management, media planning and market research. These were the only three directions that you could choose a career, Nowadays, there are so many options, like analytics is such an important part too. And also believe that the time is now where the software elements of market making are also coming in. Things like semiotics, languages so on and so forth. The softer elements of marketing are also something you can make a career in. Nowadays, everything is getting digitized so if you think about it then the core of every skill that you learn needs to be done on the digital platform and what are the digital technologies that I need to learn to deliver this product. I think that’s a distribution channel. You should always look at digital as a distribution channel. Your core skills are built on basis of that. So that’s how I look at it. Your core skills haven’t primarily changed that much. New ones have gotten added to it. Like that time, we were talking about traditional marketing and the new age of marketing. Traditional marketing hasn’t gone out of use. But it’s being delivered in a different manner. From a career perspective also you have to understand digital marketing, not only from the perspective of – ‘I know Facebook, I know Instagram,’ all these things but how are all these things deployed. How can we actually deliver digital solutions? And on top of that nowadays some of the softer elements are being recognized for what they are. With rising standards of living, people are moving more and more towards brands. You have previously worked with OLX. What are the challenges you faced in tapping the youth market base? Many! Let me give you an example to explain how deep a problem can actually be. Not really a problem, but what are the barriers of adoption can be? For 2-2.5 years of operating in OLX, we had taken the lead and everything was going well, but I still wasn’t satisfied. We were the eighth largest site in the country and I could see we could be the top five site. So as a part of my research, I spoke a lot to people. I spoke about the macro impact, I wanted to understand the macro impact of the cultural codes that determine our behaviour. So one of the people I spoke to was the head of psychology at Delhi University, and I asked the same question as you just asked me – why do people not sell their used goods? And he had a very interesting take and I think that’s very legitimate. He told that our culture and that’s not about religion, people do believe in reincarnation- this body is a vehicle and the soul can’t be destroyed. Now just overlay this piece of information 60-70 years back when people didn’t have too much but they believed that even if they would go out in this life they would come back. But how do people actually recognize their legacy? When products were not just products. They embodied our ancestors and people had a huge resistance towards selling them off. This cultural code is so deep-rooted in us Indians, irrespective of religion, that doesn’t let us sell things. The next question is just an extension of the previous one. You have been CMO of OLX South-Asia. How is the market of India different than the rest of South Asia? So South Asia would mean Pakistan and Bangladesh. I was also General Manager, OLX, Pakistan. So I was heading the business division over there. I think because all of us are part of a common culture, again, I am reiterating that point, I do not mean religion but shared history and culture. The attitude towards selling things was the same as it would be in India. From a consumer’s perspective, there was nothing that was different. Maybe the trust factor was a little bit lower in Pakistan because of the security issues in that country. That’s a very regional insight. So that was a major difference I guess. The second big difference was just the technology adoption in that country versus India. The level of talent, the inquisitiveness, the wanting to do something bigger; that is all very similar to Indians but the technology adoption-how you use technology was maybe 3-4 years behind India. This made us differ our marketing strategies and business our go to market in a different way. Maybe not as bold as we wanted our consumers to be because of the technology adoption. Those are two big differences. You are in-charge of CarDekho, Gaadi.com and ZigWheels also. From a distance, one would feel like these three are almost the same. But for a marketer, it is important to place each on them differently. So can you tell us what is the differentiating factor between these three? As I said, when I came onboard with CarDekho, we were writing a lot of content. It was mostly print media dominated. Through database and through research we found out that CarDekho has to be a buyer’s brand. So my brand value for CarDekho was that I will help you buy the right car basis your need state. So all my content, my marketing, my product tooling, everything had to change according to that. ZigWheels became a brand only for exclusive enthusiasts who come on a daily basis and read about cars and bikes and so on and so forth. Gaadi as a brand didn’t have any specific positioning. I spoke about purpose which is not exactly about brand value but as a brand value, I could not describe something which is scalable or sizeable. Maybe we could have something later in the near future. But, CarDekho became a car buyer brand helping you buy the right car, Zig became a brand for experts and enthusiasts and the motor-heads. So that’s how we differentiated those two. A recent news highlighted the deal between Google and Mastercard to track data about how much people are spending on retail on e-commerce websites, to compete with websites like Amazon and e-bay. Where do marketers draw the line about collecting data? This is as much of a business question as much as an ethical question. Sometimes both kind of overlap each other. I think that the young generation doesn’t mind being marketed to. Like if you go to countries like China, people actually want to be re-marketed. As in if you take their data and remarket stuff to them, then that’s a sign of respect and affluence. This kind of data collection is only right when you are doing it for the right thing and giving the right information because all of us do want to consume things. The advertisement is not something which is a deterrent. I consider advertisement and marketing as a way to help consumers make the right choice. But there are many people who actually are scrupulous about this thing. That’s where the lines merge. I think more and more because of the rules and regulations which are coming in marketers are, if they are not on the right side of the data debate, they are being compelled to do that. Enough checks and balances are coming in. But you can have all the data in the world if you don’t use it properly for consumer benefit then even it is an obtained data it would do very very bad for you. Companies like MasterCard and Google have a TnC checkbox you don’t even know what you have given your consent for and even if you are a discerning consumer you will that let me read the TnC, but they are so long there’s no way how a person can make any sense of it. So it’s like by default you have to sign up. That’s a wrong thing. But a lot of recent regulations are making it much simpler and things have started to become a little bit better. But it’s a murky world. What are some of the latest digital marketing trends that caught your eye? When you talk about trends it kind of throws me off because we have been using primarily everything that is there. But I can’t say that I am sold on to something in a big manner. So if you talk about any technology like AI, VR and AR, automation or machine learning, pretty much of any and every bit of digital technology we are using it today. All of them caught my eye and we are experimenting with them right now. If you ask me will AI and ML become big, I would say absolutely they will become big. There is no doubt about it and everyone knows that. Even AR and VR will become big; the whole world knows that. We acquired a company which is into it. So we are investing our money in these technologies. But I don’t know which one will be in the bigger league. AR and VR have been there for quite some time now. The first time AR really came into the big picture was through Pokémon Go. So you have to be ready. I would like to answer the question in a different way. I always look at the cost of failure. Experiment and assign the cost of failure when the stakes are low. So right now we are experimenting with all these technologies. In some, we are succeeding and in some, we are failing. So we are learning our lessons when the cost of failure is very low and even if it doesn’t work, our business will not have a big impact. Tomorrow if AR and VR become big, we now know that what does it do and what it doesn’t, so we can proceed with it in a much more structural manner. So rather than which technologies caught my eye, I would say all of them caught my eye but there is a way to use them for marketing. So that would be my little bit of spin-off as an answer to your question. The second thing I would say test for the right results. A lot of times what happens is that there are many factors that affect success. Suppose you succeeded, but you really not know which factor resulted in your success. I call this false positive. The 2nd factor might have worked for your success but you might think that it was the 4th one as you are biased towards the 4th factor. So when it comes to marketing, you use the 4th factor but that does not work out. So I believe measurement is really important to identify what is working and what is not. Hence, I always try and see the causality between what I am doing and what I am getting. When I talk about econometric modelling and data analytics, it does exactly that. So I have to understand that when I invest money, does it relate to a direct correlation and incidence on my business metric. Only then I get a positive positive.